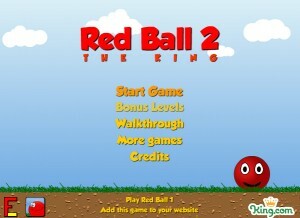 Welcome to the best Red Ball site on the internet: Red Ball World! Are you ready for adventure? Bored with the massive, unchallenging games scattered throughout the internet? Then look no further! 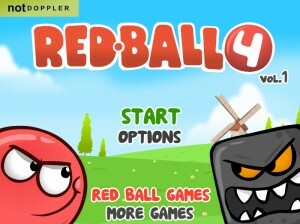 We have what you need to enjoy hours of fun, experience some of the most difficult challenges, and defeat truly evil beings in this series of games, Red Ball! Red Ball World is packed with all of the great, thrill-seeking, action-adventure games that you love with impressive graphic and cute storylines. Do you think you can complete all of the challenging levels in all of the games? 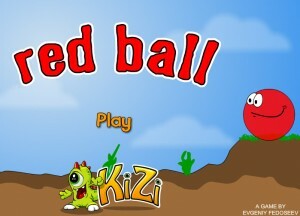 Try your hand and test your skill now in the Red Ball World series! Challenge yourself in this interactive, fun adventure game that tests your coordination and dexterity as much as your brain. 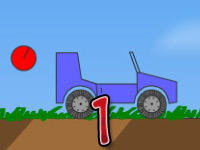 Complete each level to achieve a high score. Zoom through check points, bash the Ninja on the Bridge, and fly through each obstacle in your way. 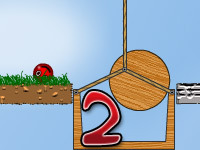 This game features 12 levels for players to complete, and is chalk full of interesting spins, challenging obstacles, and fun achievements. Can you handle it? 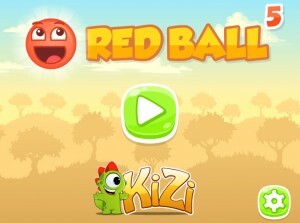 Your success in Red Ball 1 has earned our little red friend a royal achievement. He has been selected King of the Land, but his fate seems dim in this episode. While strolling through the kingdom one day, a gust of wind blows away his royal crown. Now, he’s worried whether his subjects will remember him as the King, or think of him as just another subject. Scour the 20 levels in search for his royal crown! Collect stars throughout each level to earn massive points! Red Ball has discovered his one true love, a beautiful pink ball. Funny, she even loves him back! But gloom is on the horizon for these two love birds as an evil Black Ball spots them being affectionate in a peaceful park and plots a way to take the Pink Ball for his own. 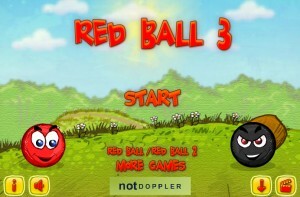 Save Red Ball’s true love in this action packed adventure, Red Ball 3, and defeat the evil Black Ball! Teach him a lesson he won’t soon forget! Did Black Ball turn into an evil Black Square in order to throw you off your game? 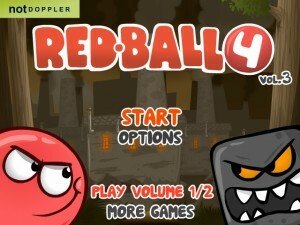 In this challenging adventure, Red Ball 4 Volume 1, you’re faced against yet another evil being – possibly the same one that you defeated in the last series, possibly someone entirely different! Regardless, Black Square has developed an evil plan to take over the country and then the world by turning all red balls in the land into evil black square minions! Save your town, your country, and your world from this devastation! Defeat Black Square and his evil minions! You defeated Black Square once and thought he had learned his lesson, but apparently not! 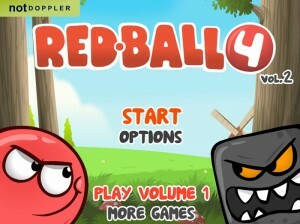 He’s back and more evil than ever in this series, Red Ball 4 Volume 2! His evil plan of taking over the world has not diminished as much as you though. Instead, he has devised aneviler scheme – is that even possible? Apparently so! He’s back to changing all red balls into black squares, but this time he’s already transformed many more beings into his evil minions before you receive word of this evil plan. Defeat Black Square once again and show him that evil doesn’t pay! You’ve defeated him twice, now you’re tasked with doing it again! Black Square simply does not learn a lesson very easily, does he? 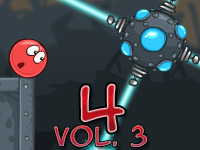 He’s back to his old tricks again in Red Ball 4 Volume 3 – turning innocent red balls into his evil black square minions. Defeat him one final time! Lock him in a dungeon and throw away the key! Do whatever it takes to protect your land, your country, and the world! 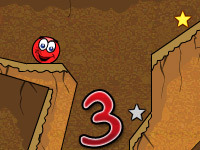 Red Ball 5 is jam packed with all new monsters, new obstacles, and 30 new challenging levels! Use the directional arrow keys or the ASWD keys on your keyboard to guide Red Ball through the maze of each level, collect gold stars, find hidden passages and treasures, but be careful along your journey! Touching any of the nasty green monsters throughout these levels will cost you your life! Touching a monster without killing it will deduct half a heart; lose all three lives and you’ll have to restart the level from the very beginning! Can you complete all 30 levels in record time to achieve a three-star achievement on each level? Test your skills, then share the game with your friends to see if they can beat your score!